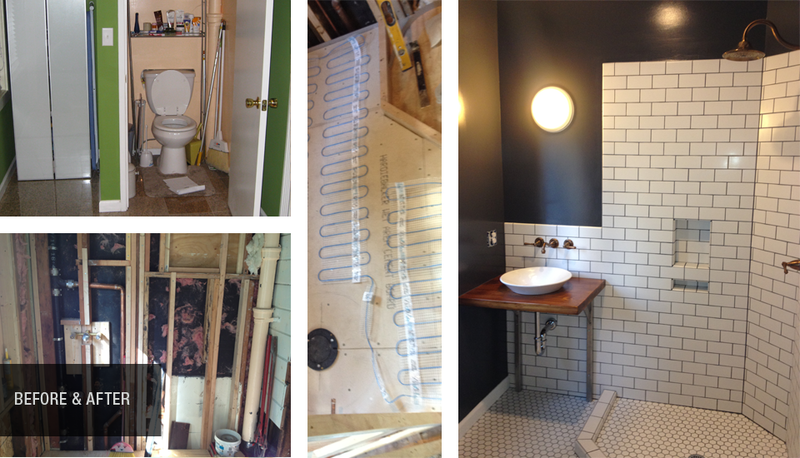 This bathroom conversion transformed a single oddly placed toilet, into a luxurious full bathroom complete with heated floors and fun handmade rustic accents. 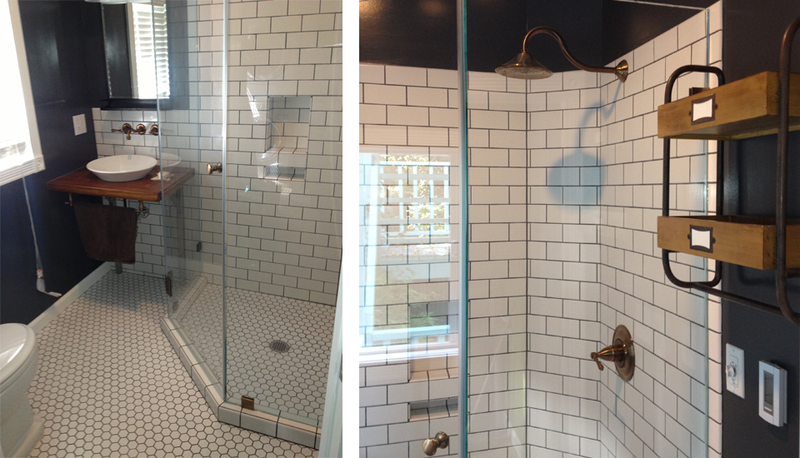 The design incorporates pocket door entry, and a neo-angle frameless shower to create a more spacious feel. Project included: Layout design and plans, heated floors, custom vanity with bowl sink, frameless shower with custom niche, tile installation, window replacement, paint, toilet installation, and lighting.